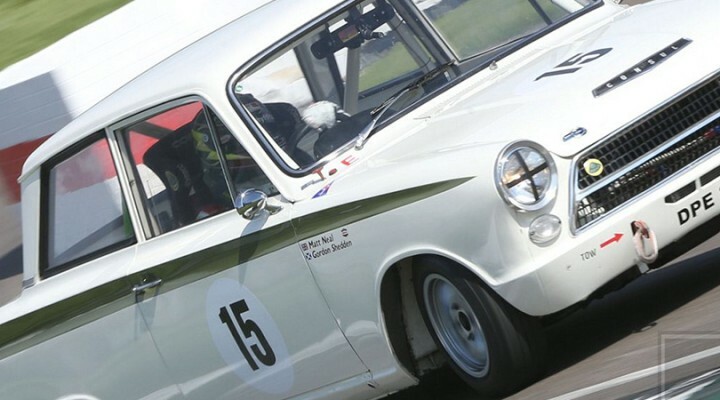 The racing stars of the 2015 Dunlop MSA British Touring Car Championship are often busy in the gaps between events, and some of the series’ front runners have made the most of the Goodwood Revival meeting to go head-to-head in classic machinery. The likes of Matt Neal, Andrew Jordan, Jason Plato and Gordon Shedden were all in action, and flying the flag at the head of the pack was 2012 BTCC champion and current standings leader Gordon Shedden who took overall victory in the RAC TT Celebration Race. “It was lots of fun out there!” said the elated Shedden after stepping out of his race-winning vintage Jaguar. “A one-hour race is a tough test for these cars but the little E-type was great and I had a wail of a time out there it was great. My team-mate did a super job in the first half-hour to let me loose and really get my head down after the driver change. The man hunting Shedden down at the standings summit, Jason Plato, took to the Goodwood tarmac and despite not winning still had a smile on his face. He said, “How can you not enjoy this! It doesn’t matter where you finish, it’s just ace. It’s unique and a very special place to be. It wasn’t long before the Team BMR star’s thoughts were back to the BTCC title challenge, and he continued, “It’s back to work at Silverstone BTCC next before the Brands finals event, so I think with what’s left on the calendar we’ve got no circuits which won’t suit us.